Kyle & I just got back from our trip to Nashville so I thought it would be the perfect time for me to write up all of our favorite food spots! 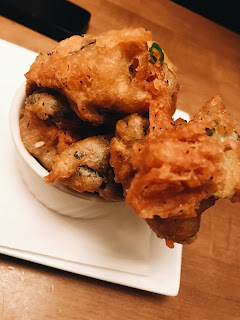 There are SO many good restaurants in Nashville I wish we could have tried more! The sweetest all-day coffee shop located in 12 South. It looks small from the outside but it's actually quite spacious once you walk in! The perfect place to cozy up with a drink or sit out on the porch on a beautiful Tennessee day! 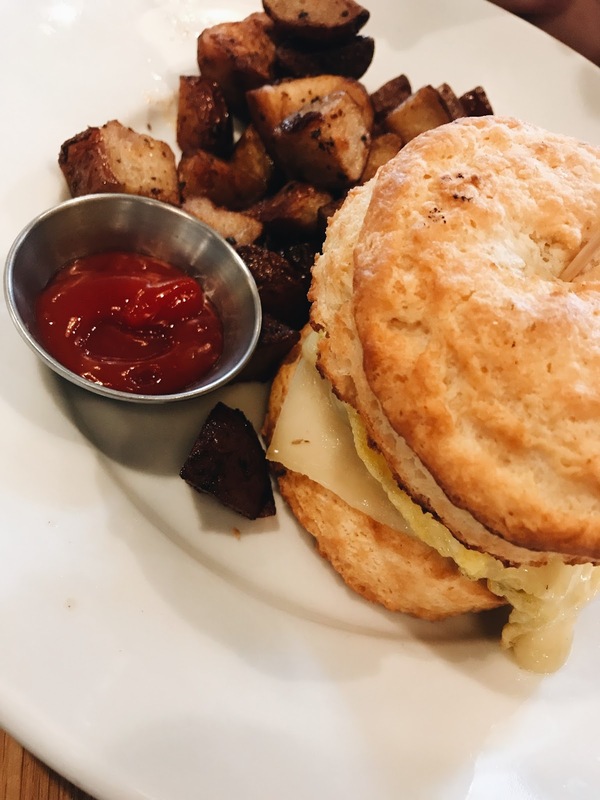 The South is known for its biscuits and this breakfast spot doesn't disappoint! I loved the cool vibe inside the restaurant as well as the many entree options with biscuits. Get there early as the line can go out the door! You order up at the counter prior to finding a seat. We arrived both times we went around 8:30am and had no issues with lines or waiting. Another great breakfast spot! This restaurant is pretty large and a great place to bring a family. They had freshly made baked goods available and a coffee bar if you aren't looking to sit down for a full meal. 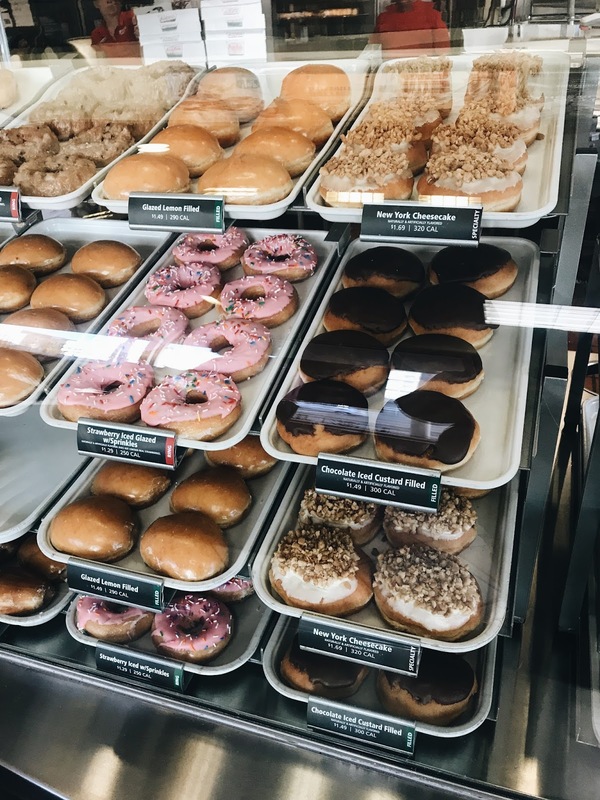 If you don't live in the South then visiting Krispy Kreme is a must! 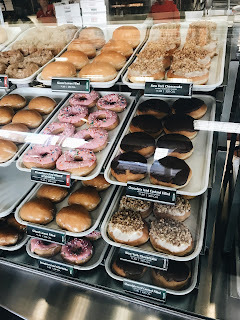 I was so excited to wake up & walk across the street for fresh donuts! I had hands down the best burger I've ever had at this restaurant! It was incredible- so much flavor and cooked perfectly! To top things off the prices here were great- I think it was around 11 dollars for a burger and fries. 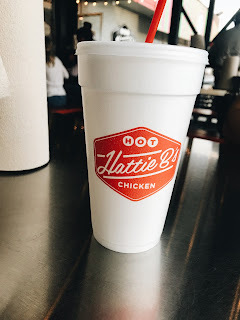 Before we went to Nashville I did some research and everyone said we HAD to go to Hattie B's & they were right! It's definitely more of a fast food type atmosphere than a sit-down restaurant. You order up at the counter and then find a table- since it was nice out the porch was open so we grabbed a picnic table. It is pretty small in there so it can seem very "busy". You can also order to-go or call in for pickup. 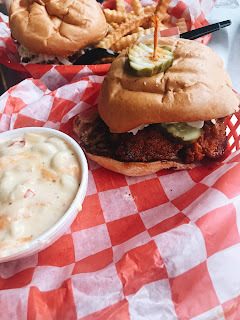 Hot Chicken Sandwich with Mac and Cheese- the chicken is incredible! 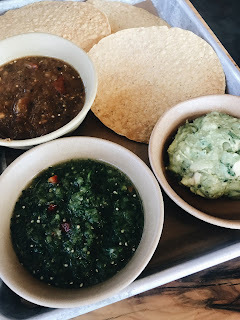 I got the 'hot' sauce and it was quite spicy! Next time I would probably get the medium heat. This was probably my favorite restaurant overall that we went to. The service was great and the food was even better. The tacos were between 2-3 dollars each and had very fresh ingredients. This was Kyles favorite restaurant! It would be a good place to go with a group as they have a very large space and big picnic-style tables. 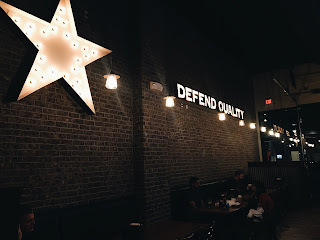 This restaurant like the others you order at the counter and then find a seat- this seemed to be a theme throughout Nashville! The food came out fast and was absolutely delicious! When we left we smelled like smoked meats so keep that in mind! This was a fun place for dessert! 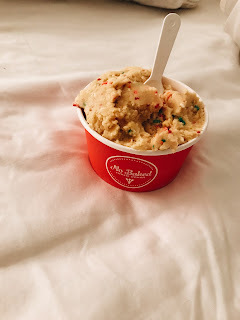 The dough tastes exactly like the cookie dough you would use to bake. 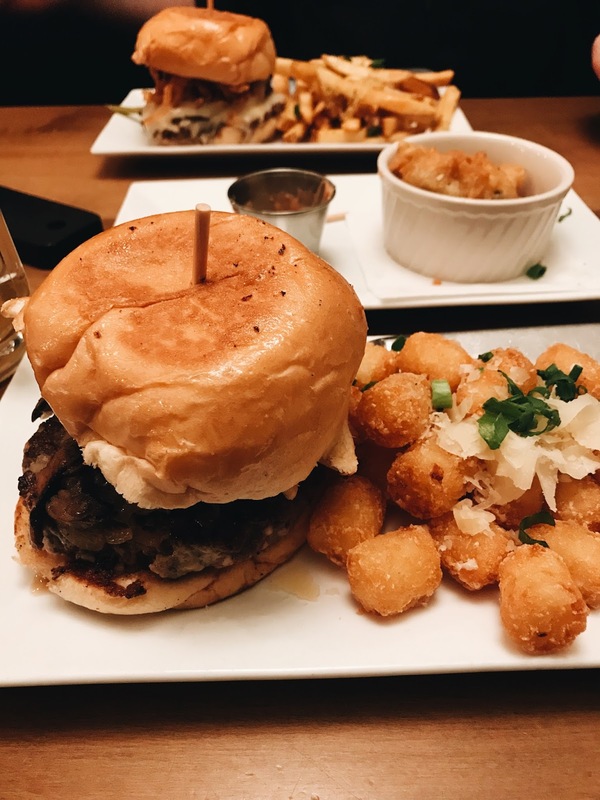 People always have such great things to say about Nashville, the food at Burger Republic looks delicious! Ahh they all look so delicious! 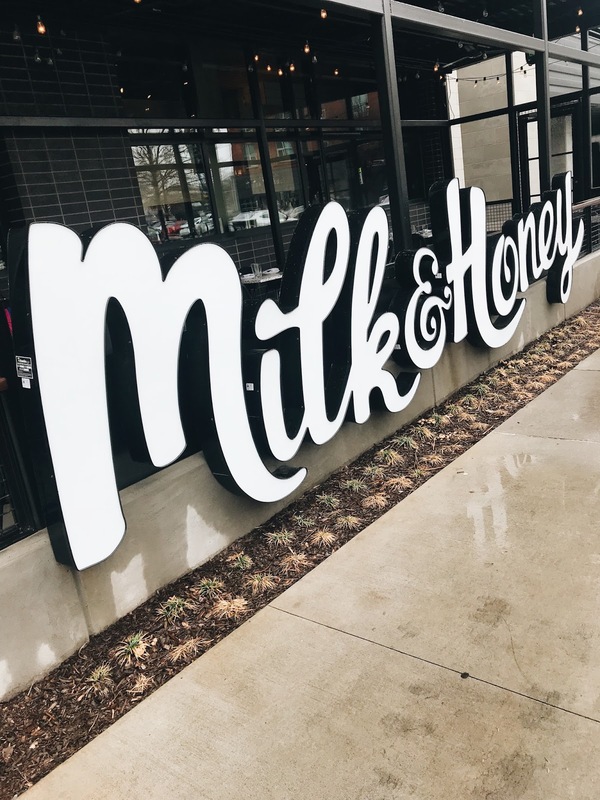 If I'm ever in Nashville, I'll be sure to check out Milk and Honey! How yummy! Oh my! 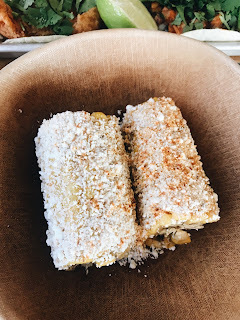 What delicious foods these are, these are amazing places too! omg i'm not even hungry but you're making me hungry with all these photos xD looks like you got to eat some good stuff tho! ahhh i needed this in january when i was there! I swear they have SO many good places to eat! 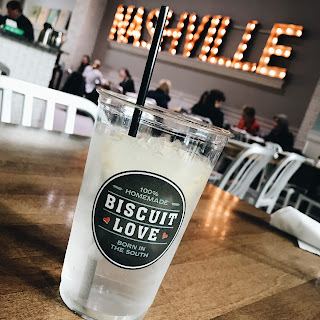 I've never been to Nashville, but I'd love to visit one day. And now I know where to find great food! 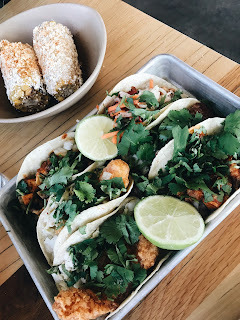 Those tacos...YUM! 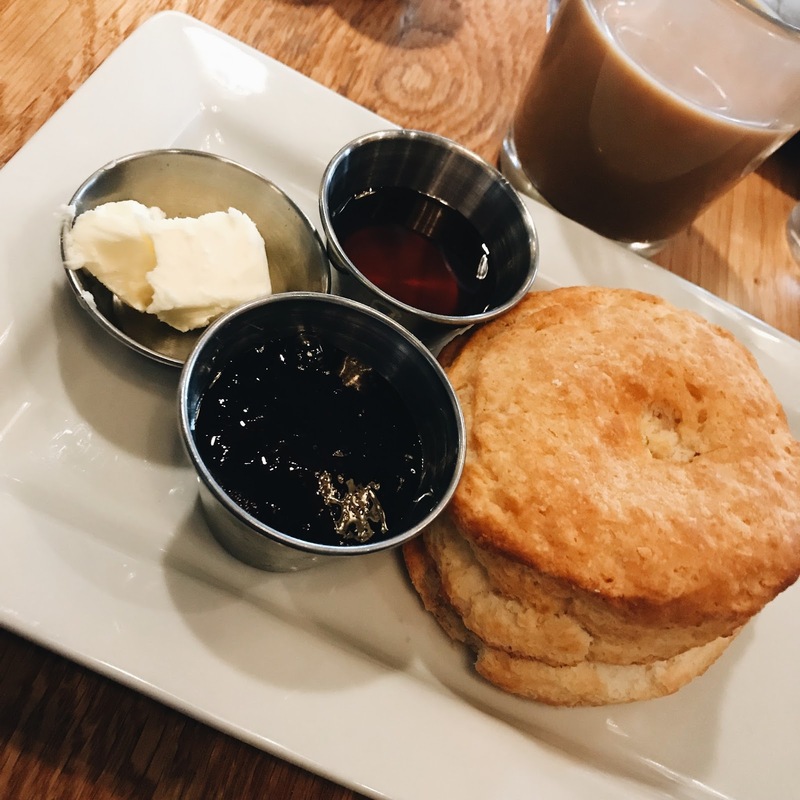 Southern food is my jam, so I'd love to go to Nashville and try all these places out! Looks like y'all had so many good eats while there. I love Nashville and I'm dying to go back. I have yet to go to Milk and Honey! This is on the list! I have never been but I can't wait to get there and check all of these awesome places out! Yum! It's been years since I've been to Nashville. 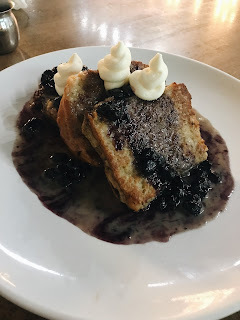 Seeing the delicious food makes me want to visit again. The truffle tots sound perfect. 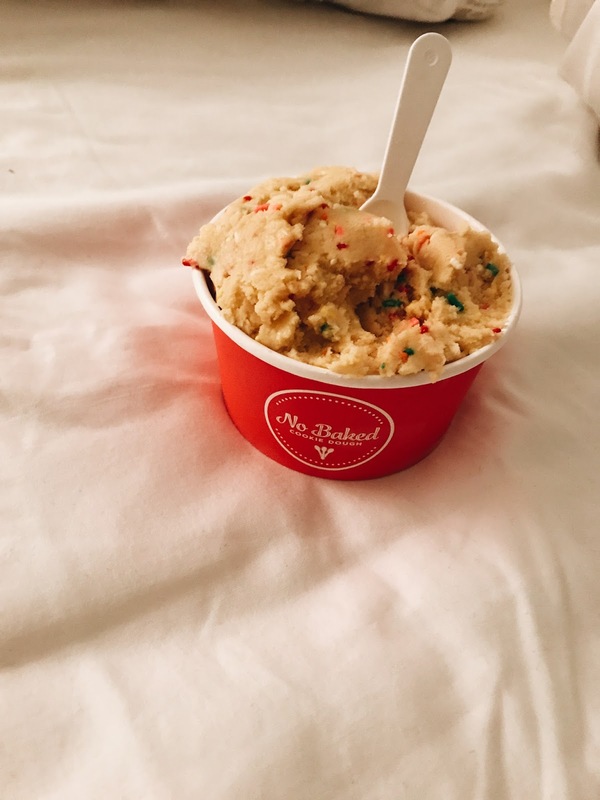 Ahh I really want that cookie dough ice cream now! This post is making me so hungry! 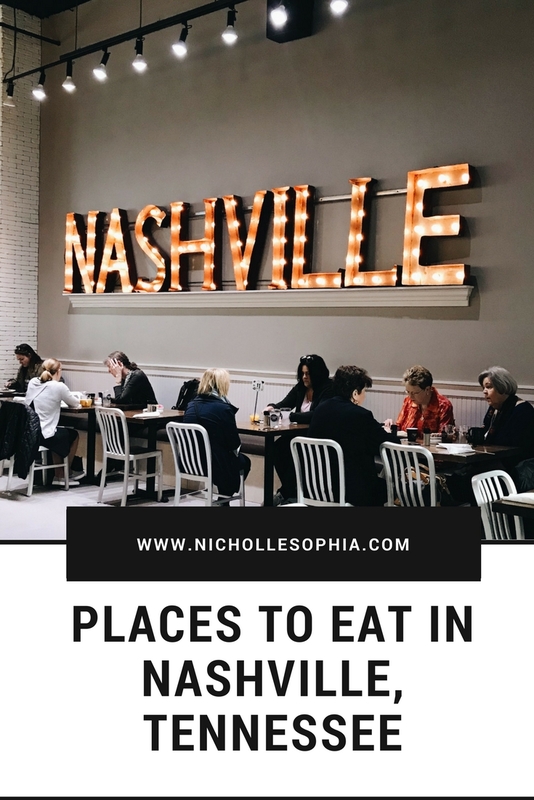 Next time I'm in Nashville I will check out some of these places! I've always wanted to go to Nashville. It seems like such a vibrant city! I'll keep this in mind if I ever go!